Dragan Raca is a former Serbian basketball player and current basketball coach. He was the coach of the national basketball teams of Lebanon, Cyprus and Macedonia. 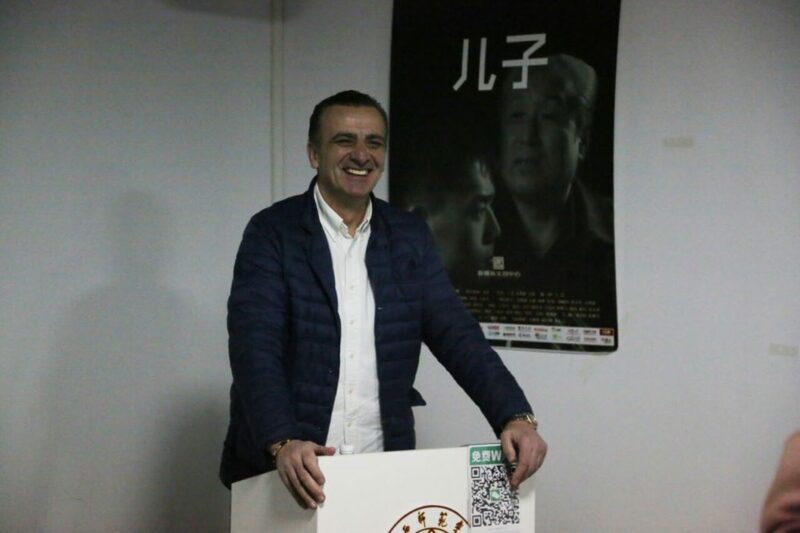 Today he heads the basketball club Beikong Fly Dragons, a member of the Chinese CBA league, as a coach, head of the profession and general supervisor. Dragan Raca spent his professional career playing for Yugoslavia professional teams: KK Knin, BC December 22 – Belgrade, KK Zorka – Sabac, KK Sibenka – Sibenik. He continued his career in Cyprus in AEL – Limassol. He was building a professional coaching career in Cyprus, Greece, Lebanon, Macedonia and China. He trained Cypriot AEL and Apoel, as well as Lebanese Hekmeh. 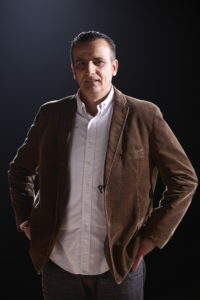 Dragan Raca was named the best young coach in Europe by FIBA ​​in 2002, and in 2005 FIBA ​​named him the best coach in club competitions under her auspices. The basketball team of Lebanon led on the Asian’s championships in 2007 and 2009 and won a silver medal at the 2007 championship. At the 2009 Chinese Championship, he was placed in the 2010 World Cup in Turkey. The winner of the silver medal at the Williams Jones Intercontinental Cup in China in 2007 and 2008. With the Cypriot national team, which he led in 2004-2005, he won the gold medal at the B Olympic Games of the European Championship in Andorra in 2005 – without a lost game. The supervisor and also the coordinator of projects supported by China’s Guangxi Teachers Education University and Guangxi University of Science and Technology, as well as 12 other faculties in China, cooperate with universities in the US, Australia and Russia. For his contribution to humanitarian activities, he was decorated with the Order of the Republic of Serbia. –Honorary Doctor of Science at Alfa BK University – for his exceptional contribution in the field of sports, sports management, training technology, university education in the field of sports science, and humanitarian activities in the territory of Europe, Asia and America. -Faculty of Natural Sciences and Mathematics, University of Belgrade. -Languages: English, Russian, Greek and languages ​​of the former Yugoslavia republics. Guangzhou FREE MAN NBL (2010 – 2013). AEL (A1), 2008 – 2009. Olimpias Patra (A1), 2007 – 2008. Nominated for The best basketball coach in Cyprus in 2003, 2004, 2005, 2008, 2009. 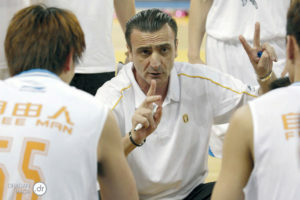 THE BEST ROOKIE FIBA COACH EUROPE – nominated by FIBA in 2003. His team EKA-AEL was nominated for the team with the best defence in FIBA Euroleague in season 2003/2004 (22 games – 17 victories). 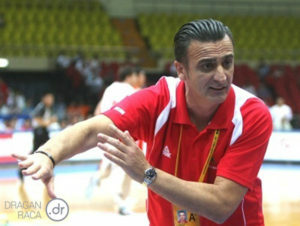 HEAD COACH OF THE NATIONAL TEAM OF MACEDONIAN 2016. 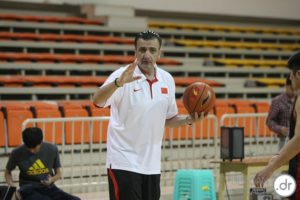 HEAD COACH OF THE NATIONAL TEAM OF LEBANON 2009. – best defensive team (average 67 points)(Lebanon, Iran, Korea, China, Qatar, Jordan, Philipines, Kazakhstan, Taiwan, Japan, Syria, Indonesia, India, Kuwait, Hong Kong, United Emirates). HEAD COACH OF THE NATIONAL TEAM OF CYPRUS 2004-2005. Coach and supervisor in many summer camps all around Europe and Asia. Author of the program for the first FIBA summer basketball camp in Bulgaria 2004. Instructor of the coaches Schools China Basketball Federation National. Previews coaches are Dell Harris and Pat Riley.